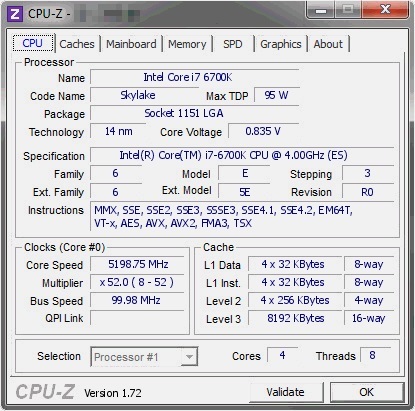 Over at KKEPC, an Intel Skylake i7 6700K CPU has been reported to Hit 5.2GHz on Air Cooling at 1.35v, again bringing rumors that Skylake will bring with it a new golden age of CPU overclocking. While right now we cannot confirm whether or not these overclocks are legitimate, it does give us some heightened expectations/hopes, for Intel's Skylake CPUs. Over recent years Intel has been able to give very limited performance increases in their CPUs moving from one generation to another, with roughly 10% increases year on year when moving from Sandy Brigde to Ivy Bridge to Haswell. This has been a very disappointing trend for many enthusiasts, especially since average overclock speeds have went down after Sandy Bridge. Even if Intel have only managed the typical 5-15% increase in IPC with Skylake an increase in average overclock speeds would certainly make Skylake a much more appealing purchase. With Skylake Intel will again be using their Next-Generation Polymer Thermal Interface Material (NGPTIM) which they used in their recent Devil's Canyon/ Haswell Refresh. Skylake will also feature additional capacitors on the rear of the CPU, which combined with it's improved thermal compound should help overclockers keep the chip well powered and cool under load. Right now it is uncertain whether or not Intel's Skylake will be an overclockers dream or not, but as soon as we receive samples of this CPU to test we will certainly be finding out. You can join the discussion on Skylake's reported 5.2GHz overclock at 1.35v on the OC3D Forums. 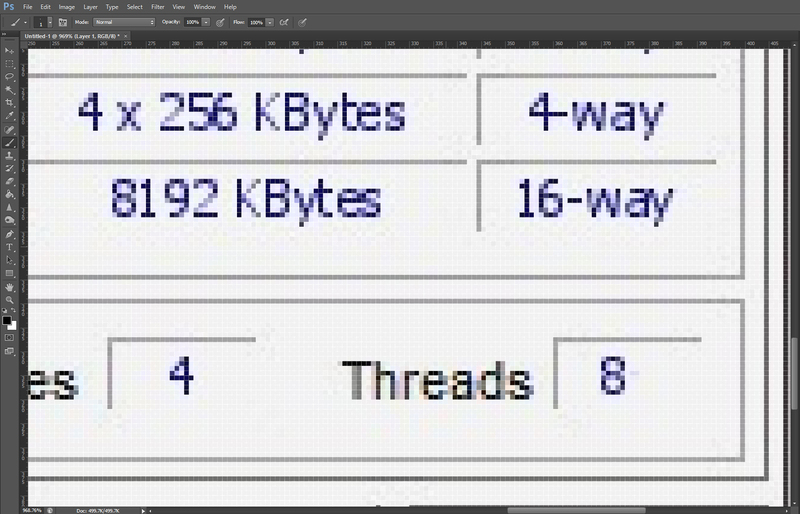 This shot is clearly shopped.. 4 Cores 8 Threads......... the 8 is not even in the field correctly, you'd have thought that someone trying to fake something would get it right. Tut tut. EDIT: You just knew I was going to zoom and shizzle, it's been played with. That same site clocked one to 6.5GHz at a whopping 2+ volts.